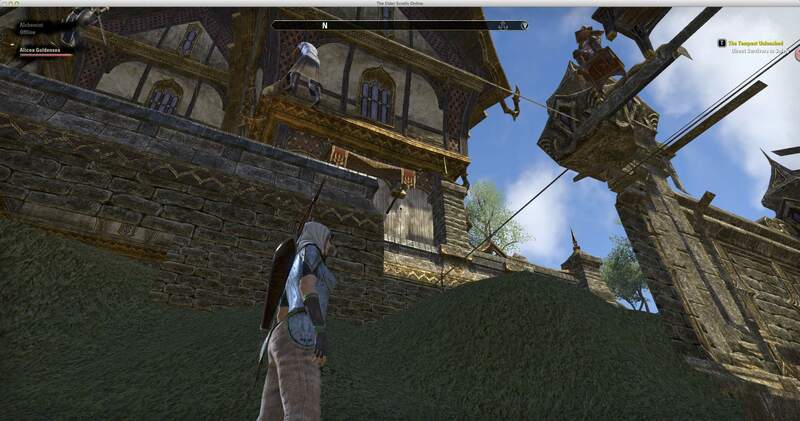 I often write these posts to answer questions I wonder about while I’m playing the Elder Scrolls Online. Other times, I write them in response to issues I notice others running into and it’s often easier to write out and share a blog post than it is to try to explain the same answer several times to different people. And of course, I’ll also write posts in response to questions I’m asked. This post is a combination of the first two situations. 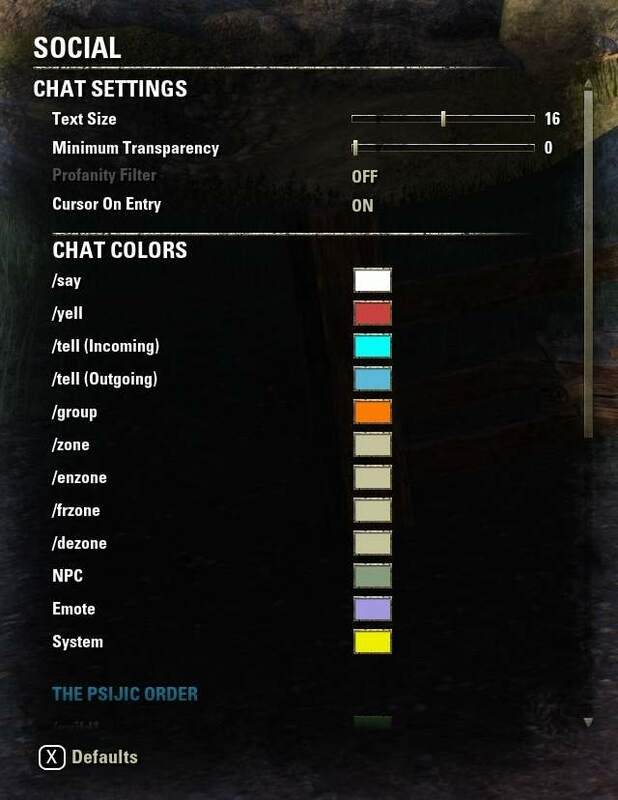 I had wondered about some of the chat codesand I’ve shared a few times how to do things like group chat (in ESO there are guilds, which can be composed of an infinitely large number of people, and there are groups, which can only have up to four people at a time). Both guilds and groups have different chat codes so you can chat with exactly who you want to. So how do I use chat? To start with, simply type / in the game. That will bring up the chat box. In the box, you can use a number of chat codes to identify who you want to chat with. /zone – Sends a message across the zone you are playing in. Very few Psijic beta testers use this except to reply to someone’s question. /emote – Allows you to preform an action. /guild1 or /g1, /guild2 or /g2, etc. – Guild chat. Since you can belong to up to 5 guilds, each # allows you to speak to that guild. 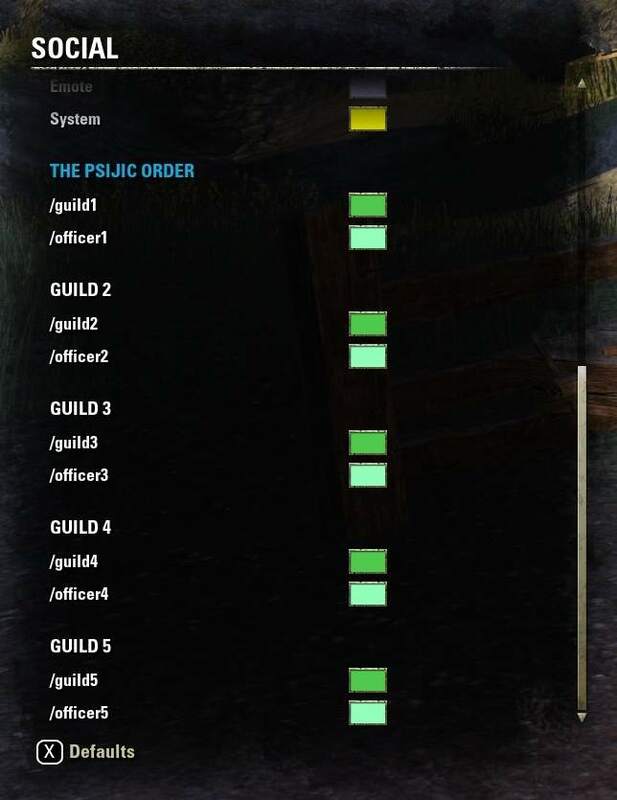 See settings (below) for how to find which guild is which number. There are also a few chat codes that can help with other things in the game. /feedback – Send feedback on something that could be changed in the game. /fps – Lets you check the frame rate of the game. 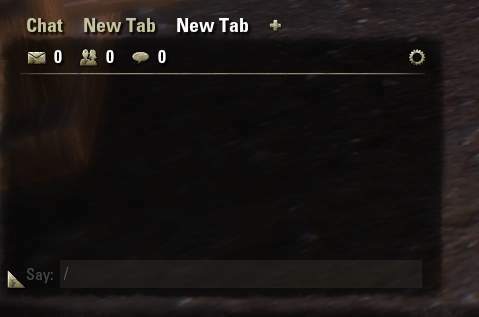 /help – Opens the help info box in the game. /invite – Allows you to invite another player to your group. /jumptofriend – A magic code if you have multiple characters and like playing with friends. 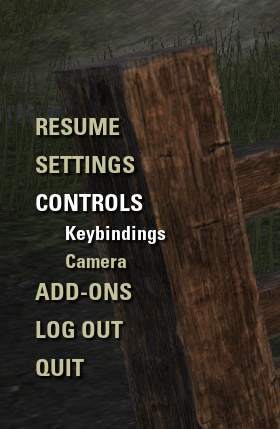 Allows you to jump to the nearest wayshrine or graveyard near where your friend is play, even if you’re playing a different instance of the game (this means that the people you see playing the game around you aren’t the only people playing that same part of the game at the same time, but it is broken into sections so the game doesn’t appear to be overcrowded). /jumptogroupmember – does the same thing, but allows you to jump to someone you’ve added as a group member. /jumptoguildmember – Same as above except with a guild member. /jumptoleader – allows you to jump to the wayshrine or graveyard closest to the group leader (the person who created the group). /logout – Logs you out of the current server. /stuck – Probably my least favorite, although it does come in handy if you discover a bug like falling through the stairs and having them close up around you. Unfortunately, it kills your character in order to unstick them. First, hit the Esc key in the game. This brings up a sidebar of options. Under Settings, click on Social. This will bring up the Social options screen. There are several options here that can help make your game chat fit your needs. I’ll warn you though that setting the transparency also makes the chat box stay on the screen, so choose whichever one is less annoying for you. Scrolling down through the social settings will show you which guild is set to which number. Then you can chat with that guild by typing /g1, 2, etc. By the way, guilds and friends are set to your account, while groups are set to your characters. That means that you can easily reconnect with friends and chat with your guild mates, but if you want to keep up with the members of a group when you’re all on other characters (or toons or alts – you’ll probably hear various names for the characters you play), you’ll need to add them as friends or create a guild with them. /emote or /e or /me (activity) – allows your character to do the chosen activity. When whispering to someone and you want to end the convo, how do you get back to the regular chat? How do I get out of a chat mode? Once I reply to a whisper, I appear to be stuck there.